For convenience, use an allocated parking space to park your car before using a bus or light rail to complete your journey. You’ll be helping to reduce congestion on ACT roads and the demand for parking in the city and other major business areas. Park & Ride facilities are located on Rapid routes and at selected group centres to allow easy connections with peak transport services. Wanniassa - Athllon Drive, access via Rylah Crescent. park as per the parking restriction signposted within the area. an active autoload direct debit payment. You’ll also need to apply for a Park & Ride permit online. Please allow 10 working days for your permit to be processed. 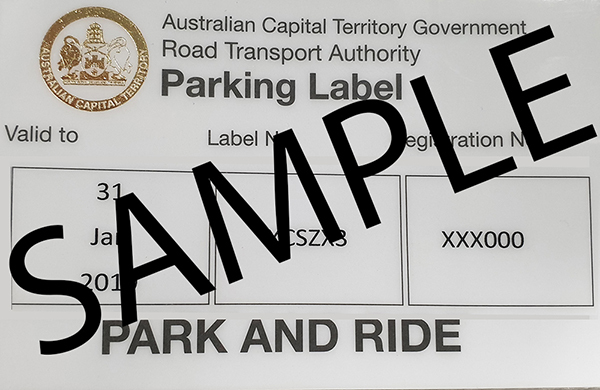 If eligible, a Park & Ride permit will be issued for three calendar months, beginning the month after your application is received. Permits are valid for use at any Park & Ride location. Failure to park in accordance with permit conditions or parking regulations may result in an infringement notice or the permit may be revoked.